"Congratuations! 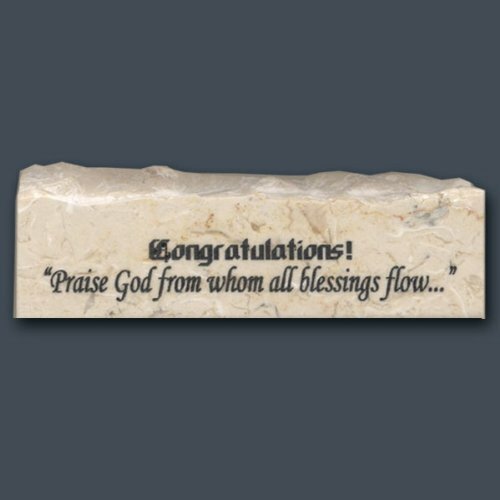 Praise God from whom all blessings flow..." engraved in a 4" x 1.25" stone. Includes velvet pouch and a Certificate of Authenticity gift card.